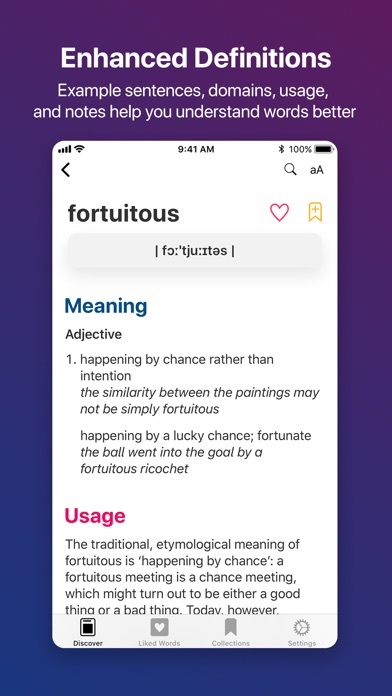 LookUp is an easy to use english dictionary app, with beautiful Word of the Day illustrations, and an award winning design to lookup all you want to know about about a word in a single search. It’s a great reading companion for avid readers, and a visual learning tool for kids, new English speakers, or just about anyone looking to proactively build their vocabulary. -- What can you do with LookUp? 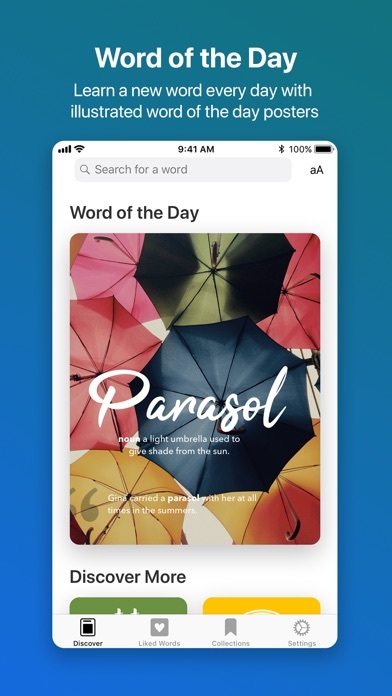 Remember new words: Everyday, we carefully curate and design beautiful illustrations for the Word of the Day, making it easier and fun to learn new words! Organize your favorite words: Group the new word discover by your favorite books, places, authors, or just anything with Collections. 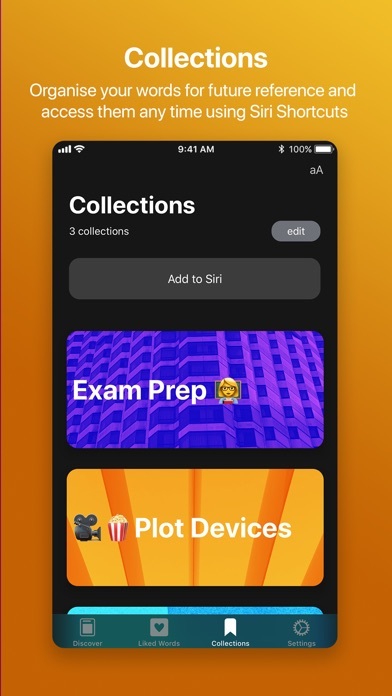 You can even create Siri shortcuts for your specific collections to access them easily! Learn it all: LookUp a word’s meaning, picture, origin, synonyms, antonyms and a wikipedia entry in a single search. LookUp on Apple Watch: Find a meaning instantly by just speaking a word into the Watch app. 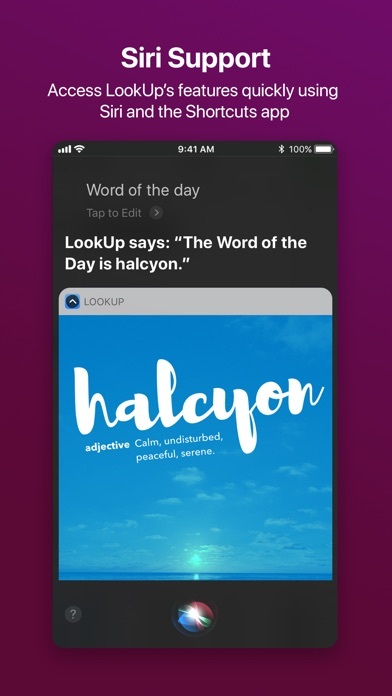 Look Around: “What’s that?” Just point your camera to an object, and LookUp will provide you all the information -- Praise for LookUp: Webby Honoree (2017) for Best UX in Mobile Apps "LookUp is far and away my favorite dictionary app I’ve used." 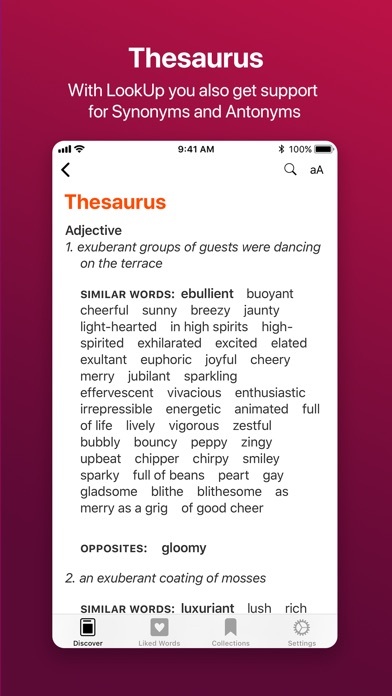 - Macstories "It doesn't feel like any other dictionary app for iPhone." 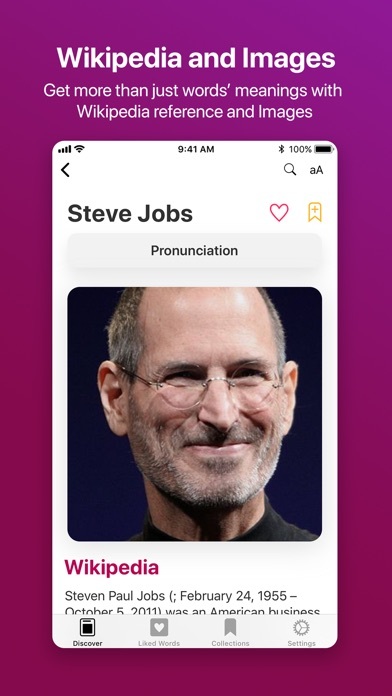 - Beautiful Pixels Apple 20 Under 20 (2015) — LookUp Requires Internet Connectivity to search for a word. Word's aren't pronounced if your device is in silent mode. The Look Around feature requires iOS 11 or above. Siri Support requires iOS 12 and above. This update includes a bunch of accessibility improvements: 1. Support for Smart Invert 2. Improved Voice Over Support 2. Support for Reduced Motion Animations Fixes a bug where some users didn't receive Word of the Day notifications. 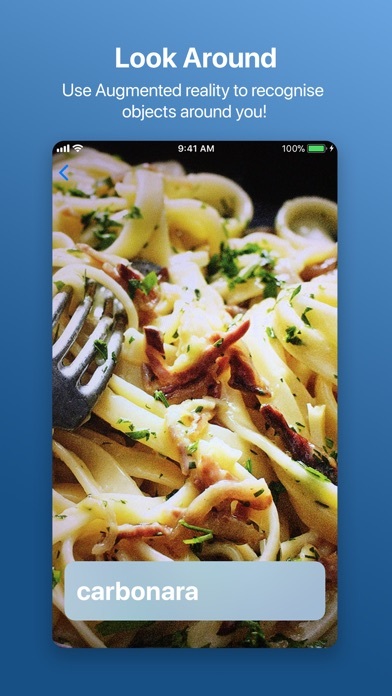 -- An update on Look Around: This is the final version of LookUp to support the Look Around feature, subsequent versions of LookUp (starting from version 5.2) will drop Look Around as a feature from the app. While Look Around might be going away for now, we're still very excited about the possibilities in the Augmented Reality and Computer Vision space and shall use the technology behind Look Around to build more exciting products in the future.